Well the convenient thing about this unfortunate circumstance is I can run with the same Facepalm dialogue this week. I will run an original Facepalm next week if this continues though. 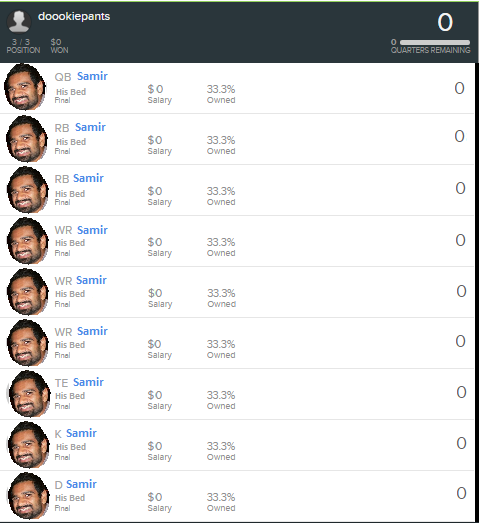 It has to go to Samir this week. 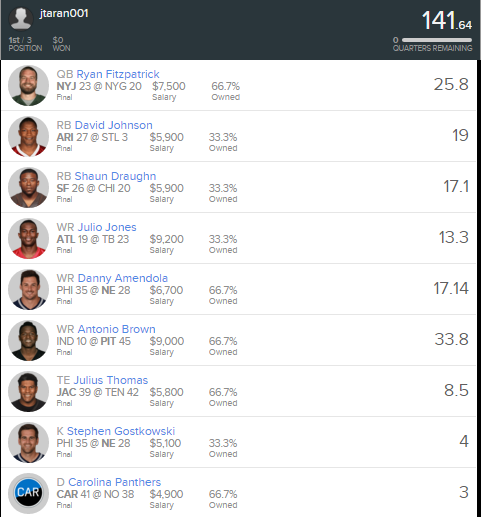 I figured if anyone was going to make sure they'd set their lineups it'd be the guys competing to hold their playoff positions..